I am honored to accept the appointment as president of the Botanical Society of Japan for two years from the beginning of March, 2017. The Botanical Society of Japan (The BSJ) has a long history as the society representing plant sciences in Japan. I have been a member of the society since I was a graduate student about 35 years ago. During this time I have presented my data at the annual meetings, published my articles in the Journal of Plant Research and joined the committee to assist with administration of the BSJ. With such a personal history of association with the BSJ, I am delighted to be appointed as president, and I acknowledge the strong responsibility that is expected of this position. I will endeavor to do the best I can for the BSJ during my tenure as president. 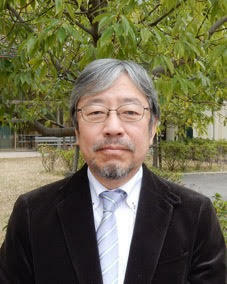 Last year, Dr. Yoshinori Ohsumi, a member of the BSJ, was awarded a Nobel Prize. This award was celebrated not only by fellow members, but by all Japanese. At a press conference, Dr Ohsumi also sounded a cautionary note on the future of basic science in Japan. The number of members in our society is decreasing. The budget for plant science in universities and research institutes is also being cut. This is occurring not only in the field of plant science, but in all science fields in Japan. Science in general is facing many challenges and we need to consider how BSJ can respond and adapt to these challenges. The BSJ was reorganized as a Public Interest Incorporated Association in 2012. We have two missions: (1) publication of the latest research progress in plant sciences, via an academic journal, books, and web technology; and (2) documenting and advertising research meetings, symposia, and workshops on plant sciences, with collaboration from related academic and non-academic groups. The BSJ covers all fields of plant sciences and our activities are presented in both JPR and the annual meeting each year. The attraction of the BSJ is no doubt its broad coverage of plant sciences. Even though we may work within specialised fields, joining BSJ and participating in its activities allows us to appreciate how our work fits into the broader picture that is plant science. The BSJ is also expected to communicate and explain to the general public the importance and significance of new advances in plant science. Our homepage on the internet, which contains valuable information about areas of research, JPR publications and annual meetings, receives more than 5 million visits every year. "Plants" are one of the biggest fields in which non-scientists enjoy nature, sitting beside other disciplines such as "Insect", "Bird", "Astronomy", etc. It is important for plant scientists and non-scientists together to pursue the perennial question, "what is a plant?". I think that the advancement of plant and basic sciences in public society through such activities will be more important than anything for the future development of pure plant sciences. I will be glad of members' future cooperation and collaboration.